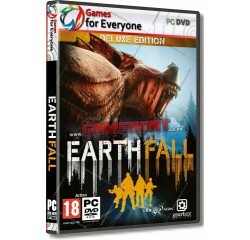 Earthfall - R140,00 : Game Hunt, Where we lead, others follow. Fight Together: Cooperative Action For up to 4 Players - Team up with your friends as a variety of deadly aliens test your skills as the intelligent spawning system reacts to you and your team. Watch each other's backs! Take Control: Play as one of four exciting characters, each with their own personality, all trying to survive and reclaim Earth. Stunning Visuals: The beautiful, but deadly Pacific Northwest is brought to life in dramatic detail on industry leading Unreal Engine 4 Technology. Processor - Intel Core i5-4430® or equivalent AMD® processor.